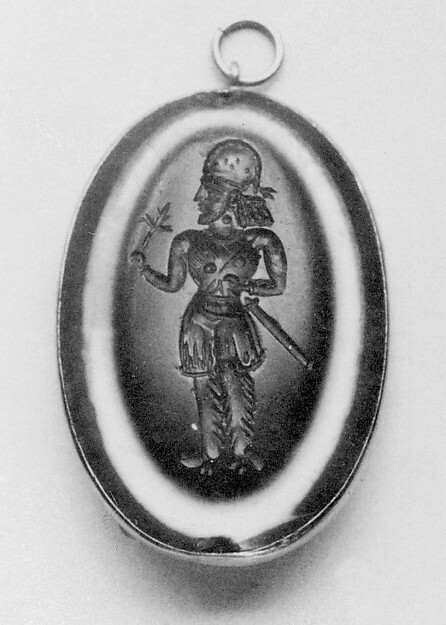 This oval seal stone is finely carved with the full-length image of a male figure of high rank; whether a prince or a nobleman is not clear, however, since it lacks an inscription. 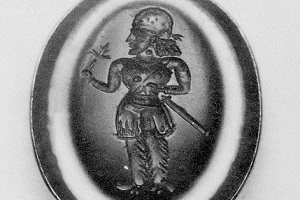 Singular full-length figures are rare on Sasanian seals. This one turns to look at a plant or blossom, simply drawn, held up in his right hand. He holds the hilt of his sword with the other hand. Two dots on the chest may indicate clasps for a cloak, though none is shown. His stance and dress are like those seen on male figures in early Sasanian rock reliefs. 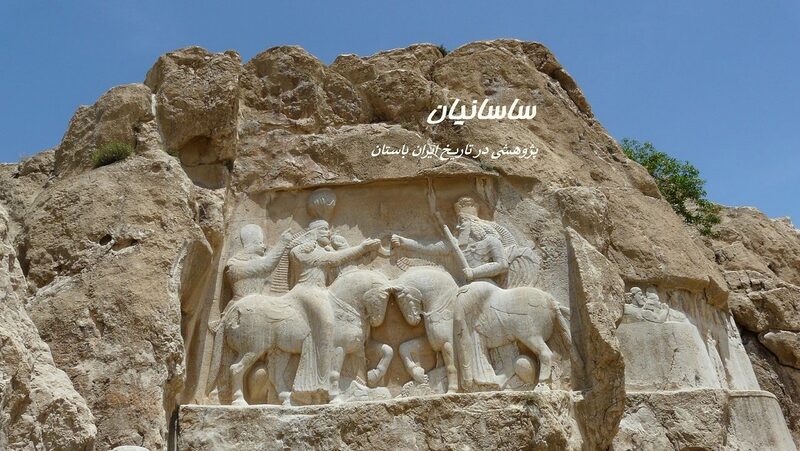 Sasanian seals are often made of semiprecious stones and royal ones are large in scale.